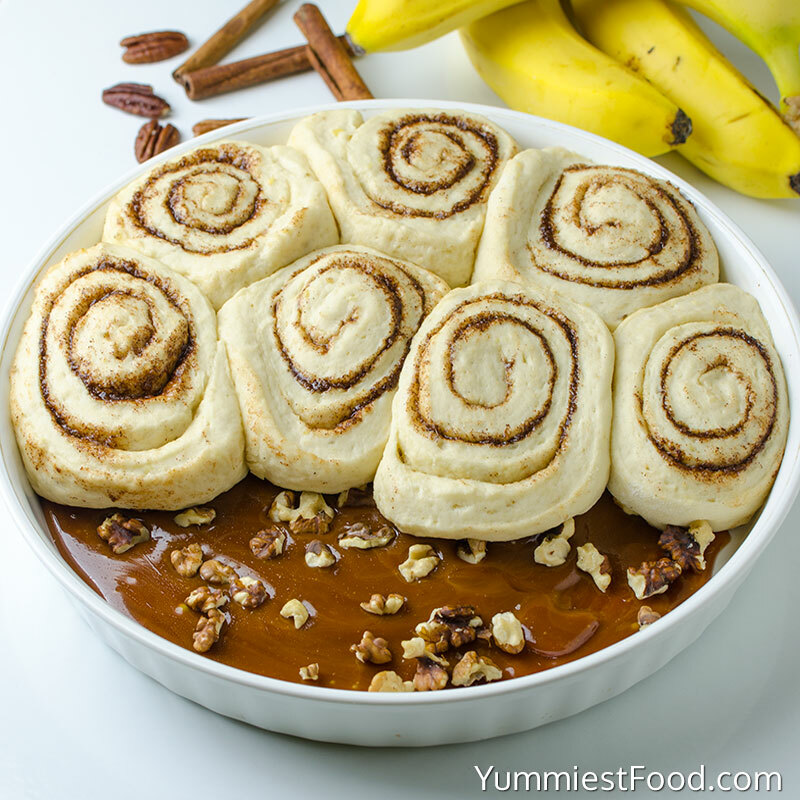 HOMEMADE UPSIDE DOWN BANANA BREAD CINNAMON ROLLS – Perfect for breakfast, homemade banana bread cinnamon rolls, baked upside down and covered in a decadent caramel glaze and pecan! I see the ripening bananas and start to get ideas what delicious food they will become next. 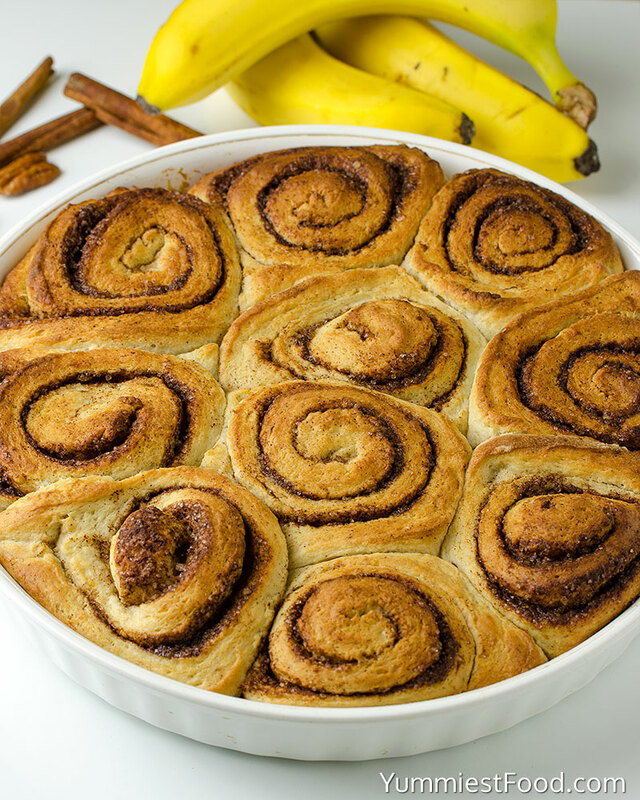 Homemade Upside Down Banana Bread Cinnamon Rolls are one of the best breakfast or dessert around. 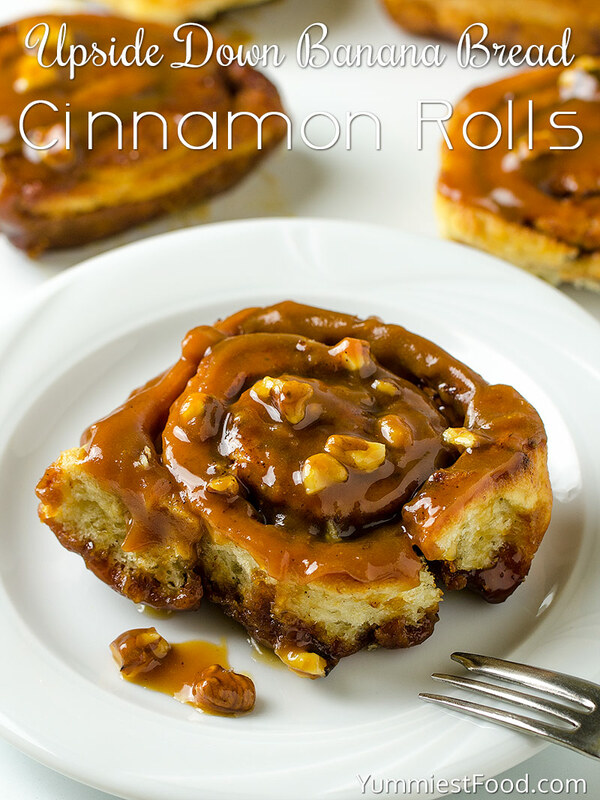 Who doesn’t like a warm, cinnamon roll with caramel glaze fresh from the oven? They are one of our favorites. The house will smell heavenly when you bake these! While Homemade Upside Down Banana Bread Cinnamon Rolls take a little time, they are worth every single second. 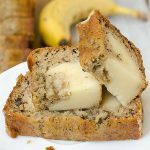 Adding bananas gives it a fun banana bread flavor. I have realized that the one thing that I use the most in my baking is banana. 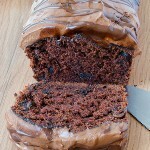 Just like my recipes: Banana Pecan Muffins, Cream Cheese Banana Bread and Easy Banana Cake. Before you get started, check the expiration date on the yeast, because the yeast won’t activate if it’s passed and the dough won’t rise. 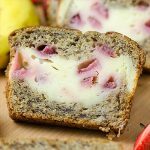 To make these banana bread cinnamon rolls, you will follow the directions below in the recipe to create your super soft dough. Don’t over flour your dough because you will end up with tough and dry banana bread cinnamon rolls. You will place it in a greased bowl and set it in a warm place to rise for about one hour or until double in size. Once the dough is done rising, you won’t punch the air out of it just yet, I like to just flip the bowl over and dump it into a lightly floured surface and roll into a rectangle, spread the cinnamon filling evenly over the dough and roll up tightly so you have one long roll. Cut and place dough slices, flat side down, on top of prepared caramel topping. Cooking time is dependent on the size of your rolls. You should cook the rolls until they have just a light brown on the top. The problem with these Homemade Upside Down Banana Bread Cinnamon Rolls are that they are irresistible, and once you have one you must have another! Enjoy! HOMEMADE UPSIDE DOWN BANANA BREAD CINNAMON ROLLS - Perfect for breakfast, homemade banana bread cinnamon rolls, baked upside down and covered in a decadent caramel glaze and pecan! These Homemade Upside Down Banana Bread Cinnamon Rolls will stay fresh for up to 4-5 days stored in an airtight container at room temperature.